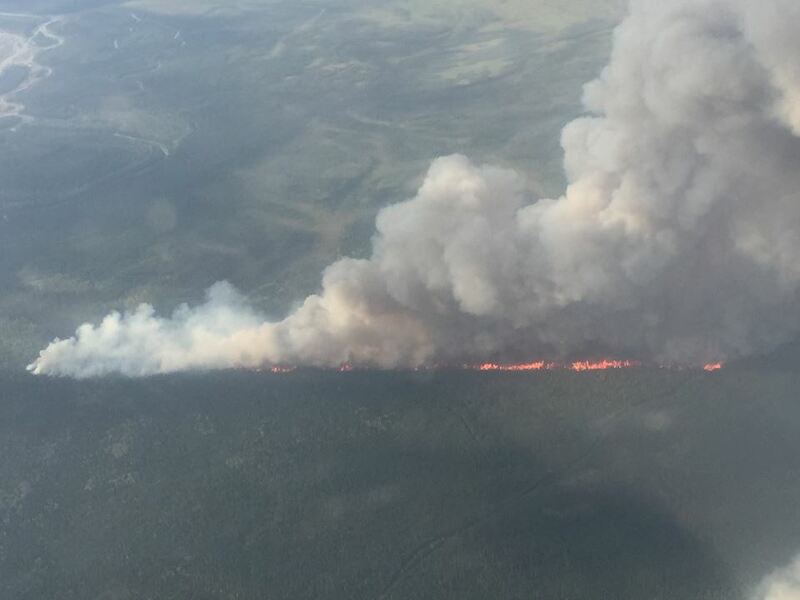 A recent study indicates fires in the Yukon Flat region of Alaska are releasing more carbon into the atmosphere than previously thought. The study by University of Alaska Fairbanks scientists overturns old assumptions and paints a troubling portrait of future climate change. When you set out to model an ecosystem, it’s important to have data, a lot of data. That’s why UAF researchers Dave McGuire and Helene Genet were excited about a study in the Yukon Flats looking at charcoal deposits in lakebed sediments. It gave them 1,200 years’ worth of data. Genet, McGuire and their colleagues wanted to model fire regimes in the region and how they affected the carbon cycle. The sediment data, McGuire says, were revealing. Carbon is a key ingredient in global climate change. In nature, plants take up carbon dioxide and store it. Some of it is respired back to the atmosphere, but much of finds its way into soils. In the Arctic and subarctic, that carbon is often locked up for longer periods because of permafrost. Fires moving across the landscape can release a lot of carbon. And researchers assumed released carbon spurred more plant growth, balancing the books. That assumption might be revised now. By modeling the effect of long-term fire history on the ecosystem, Genet says it looks like more carbon is being released than captured. Genet and McGuire’s study just looks at the Yukon Flats. But if the same conditions occur in similar Arctic and sub-Arctic boreal forests, where roughly a third of the Earth’s terrestrial carbon is stored, the implications to climate change could be dire.